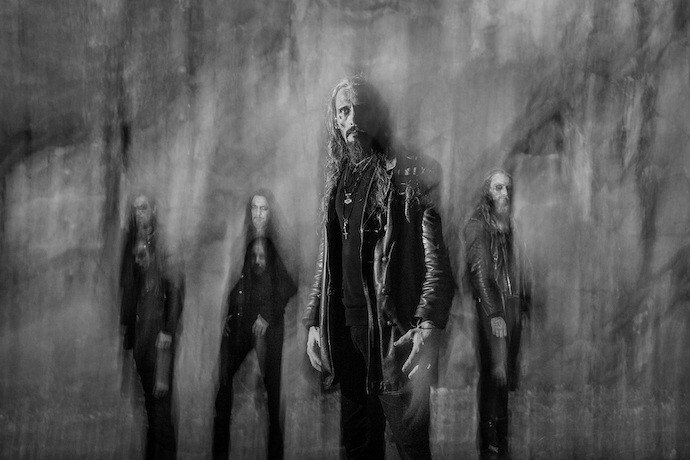 The presence of Gaahl (Kristian Espedal) at the front of this formation will guarantee attention for their debut album, GastiR – Ghosts Invited. But for that recording he had some impressive talent around him, too — Ole Walaunet (The Batallion, God Seed, Grimfist), Frode Kilvik (Krakow, Aeternus), and Kevin Kvåle (Horizon Ablaze). 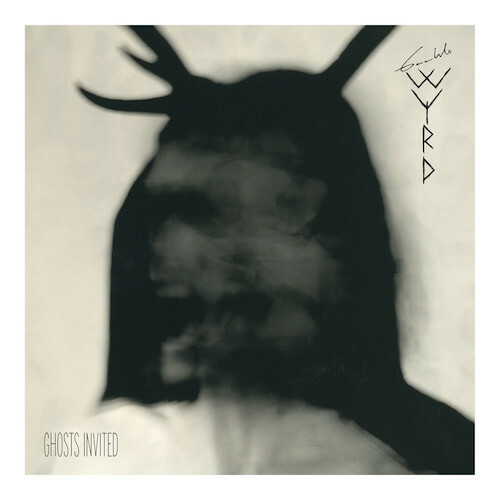 Gaahl’s voice is a stand-out feature of the first single from the album, “Ghosts Invited“, in both its solemn, theatrical, near-Gothic intonations and in its more demonic, gasping expressions. Meanwhile, the music accompanying him is also dramatic, but in a way that’s both chaotic and magisterial — racing, battering, jabbing, shimmering, and soaring in ominous grandeur. GastiR – Ghosts Invited will be released by Season of Mist on May 31st. P.S. The cover artwork above is for the single; the album artwork will be different. 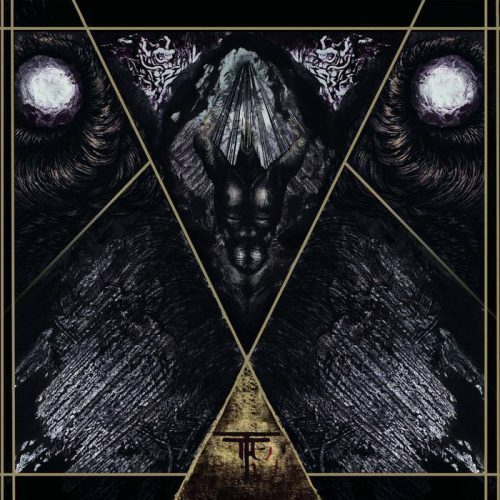 I’ve written admiringly about some of the EPs previously released by this atmospheric black metal band from Lyon, France, and thus it was exciting to see the news that Les Acteurs De l’Ombre Productions will be releasing the band’s debut album, Grand Œuvre, on March 15th. The first, emotionally shattering, advance track, “Lueur émérite“, includes beautiful ringing melodies with a melancholy cast — and also passages of mid-paced, imposing power, in which reverential clean voices deepen the building mood of terrible tragedy. When the music boils over in eruptions of blasting drums, searing chords, cauterizing shrieks, and unhinged yells, the feelings of crushing grief in the slower movements tip over the edge into the madness of unbearable agony. The music becomes a great symphony of terrible pain. This is another band, a Chilean one, that I’ve also written about in complimentary terms before. 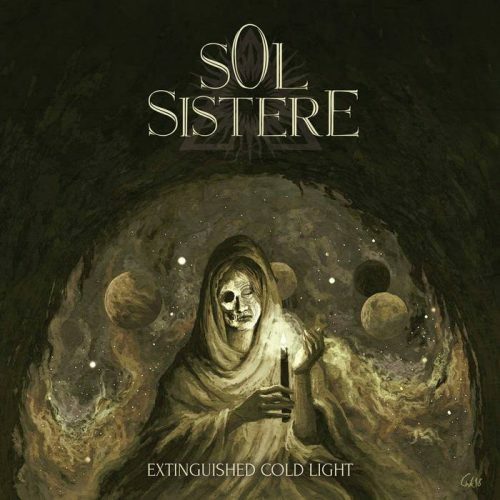 While South American black metal may tend to spawn expectations of filthy, brazen, superheated assaults, Sol Sistere‘s musical interests are different; Hammerheart Records recommends this new album, Extinguished Cold Light, for fans of Emperor, Dawn, Altar of Plagues, and Drudkh. It will be released on May 3rd. What you’ll find below is a video for the first single from the album, a track named “Elemental Chaos“. Man, talk about a lead riff getting its hooks in from the first seconds, that’s what happens in this song. It’s such a vibrant sound, and as the melody morphs, the riffing is no less vibrant, but the beleaguered mood of the music becomes more extravagant and intense. (the harsh, roaring vocals are quite intense as well). There’s a wonderful, prominent bass performance in the slower and moodier section just past the mid-point, before the music burns again. A powerfully moving and memorable piece of music.